THE DREAMER He had just had a dream, and his dreams always came to pass. His name was Joseph, therefore people called him Joseph the dreamer. But the dream he had just had was a very big one. Relating it might tear his mouth into two. How could he tell it to whom it was meant for, especially when the latter was a very important personality, and he was just a tool to him? The director went on a business trip to Lagos. He got killed by some masked assassins. Joseph the dreamer actually saw the assassins in the dream pumping bullets into the director's bosom. A hail of bullets -- a shower of hot lead, like molten nails entering into his chest, strapped to the car seat, for almost a minute non-stop. His chest became a ragged mess, his flesh torn to shreds, his head slumped. The dreamer saw all these as plain as in wakeful reality. He cried in his dream state, he woke up crying too. He was a good man, and he cried a lot in his privacy for many unfortunate people and situations. He cared for his director, even after he had become fully awoken. He knew his dreams were potential ones; they became realities in day times. He loved his director: he was a fine man, a rich man, an educated man. Joseph was not a fine man, he was not a rich man, he was not an educated man, but he loved all these qualities in people. He was not envious. He knew these things were not meant for him. If they were meant for him, he could have been given. God gave whatever he wanted to whomever he wanted. If you were given, you were given, if you were not given, you were not given. That was God. So, Joseph the dreamer cried for the man fated to die. His dreams had antidotes. His visions could be averted. Most often, when he dreamed of approaching disasters like this, he told the victim. If the victim asked for ways out, he told him: “Fast and pray! Fast and pray!” And if the victim fasted and prayed, the doom would be averted. 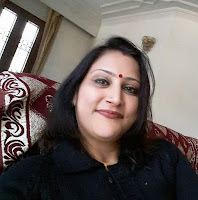 At the other hand, if the premonition was scheduled for a later date and a specific situation, and the victim was ready to avoid such relative situation, the calamity could also be pre-emptied. These were the antidotes he knew, he had prescribed them times without number to people he dreamt about, and when they complied, they were spared. He had been called a prophet by some and a charlatan by others but nobody had really paid him the honour dued a prophet. Ironically, it was usually the casualties and those who were close to the casualties of his fatalistic dreams who hailed him as the reincarnation of the ancient prophets, especially after they or their relatives had erred for refusal to apply his antidotes. But those who heeded his visions and took his prescriptions and as a result spared the apocalypse always turned out to be ingrate skeptics afterward. They accused him of taking them for ride by making them pray and fast on pretext of false alarms. Joseph the dreamer knew that prophets were liable to persecutions, and he was always ready to embrace them. He earned his living as a night guard in a livestock farm that belonged to Dr. Timoye, his director. Dr. Timoye was a veterinary doctor and who operated a successive consultancy and big livestock farm. An once upon a time Christian, he had become an atheist of the highest order. His world was limited to all things physical and anything spiritual was a vestige of the ancient philosophy and figments of gullible people's warped imagination and nuances, and yet the unshed cloak of primitiveness. He was practical and he loved people who were equally practical. The religious people however he saw as necessary for some reasons, like employing them in the accounts department, where they were completely chastised into sainthood by their fear of their God and a greater fear of hellfire. He knew his money was save in their care, and never divulged this streak of his ingenuity to anyone. Joseph, the dreamer, worshipped him. He was all he would have loved to be but which God had not apportioned him, therefore, to him, he was a great man. And this great man smiled at him and other lowly men and women in his employment, especially when he met them on their duty posts. For him, the big man seldom met him on duty because Joseph was a night guard and Dr. Timoye was not much of a night prowler. The evening after he had his newest dream, he resumed at his duty post. In the course of their many small talks with his colleagues he learnt that his director was to travel to Lagos on a business trip in three days. The little voice in him told him as it always told him: That will be the director's last trip to Lagos or to anywhere. He will be killed there and then unless he doesn't go. He saw the director's car travelling fast inside a big blue halo among the stars. The road was big like they said most roads were in Lagos but it was deep in clouds that billowed endlessly. And suddenly, the big blue halo stopped moving and the car shot away from its protective covering. Something told Joseph “that car was now vulnerable to whatever hazard. ” The stars ahead became a pool of fire whose flames reared their heads towards wherever the car ran. Suddenly there rang out volleys and volleys of gunshot from some flaring stars before the car. Then, he heard the agonizing cry of the director in the car. The car somersaulted and began to tumble down; it collided into burning stars and crimson clouds. Then the vision was lifted and tears surged in Joseph's eyes. He shook his head. Some of his colleagues could see that he was crying. They questioned him variously on why he was in tears. “I need to see the director before I go home tomorrow,” he said to their many entreaties. He told them, but when they asked him to tell them the dream, he told them it was meant for director's ears alone. They became apprehensive and stared at him with furrowed foreheads because they knew the potentials of his dreams. He stood up and went on patrol of the sections allotted him. He was on his feet till the dawn broke and the morning’s glorious light shone upon the world below anew, as if the world was created just the day before. Everything looked new to him except the director's life which was going to end tomorrow unless he heeded the warning to be given him. When other night guards signed out and went home, Joseph signed out and lingered -- he must see the director. But the director was late, he didn't show up until it was 11 am, three hours after his normal time of resumption. Joseph waited even when hunger choked him within, when the need to sleep the sleep suspended in the night before was pressing heavy on his brows. It was a responsibility he dared not shirk to see the director and tell him his dream and had him spared of the impending doom, if he could take the antidote to be prescribed. When the director came and ambled into his sprawling office like he had no problem in the whole world, Joseph trailed after him. He was about to sneak in, when he was accosted by one of the director's secretaries. e of the same stuff like the night which the night guard prowled and the day which the director ruled. “Night falling at dawn?” The secretary looked momentarily stupefied but he didn't want to be stampeded into taking a wrong action. It was a laid down rule: No worker in the low cadre can see the director, but his immediate superior officer for onward transfer to the appropriate quarters. “Look, you can't impress anybody with your frightening metaphor. All I know is that you can't see the director and no night would fall at dawn. End of the show!” The secretary said. The secretary looked at Joseph's face and body for any telltale signs. His clothes were poor but sane enough. He was not mad; he was only being stubborn and mischievous. He shouted at him: Leave here now before I summon the day guards to deal with you! The director himself strolled out. It was the time to embark on the daily inspection of the establishment. “What's it?” he asked. The agitation on the faces of both the secretary and Joseph was alarming. The director sighed. He couldn't believe his ears. He glared at Joseph for about a minute. Joseph himself was peering up at him from his own humbler chair. The director fought hard against the urge to slap his face and kick him out of his office. Who was this nincompoop telling him he would die as if he was a brother of the angel of death? He swallowed his anger and asked him whom he was and where he learnt of his approaching death. The director laughed and he laughed long and loud. Tears were gathering in his eyes. He took out his perfumed handkerchief and rubbed his eyes and mopped his fleshy cheeks afterward. “I thought you said you were a night guard?” the director regarded him sternly, studying every movement of his face. “Yes sir, but sir,” he gasped. “I don't dream at night sir… I don't dream at night. I'm always on my feet patrolling. You can make enquiries from my colleagues sir. I dream my dreams in the day when I sleep at home. “The director sighed. He thought it absurd that someone could take a mere dream this serious. He voiced his opinion: Dreams are nonsense. Fragments of our imaginations, that's what they call it. Only the weak and the poor believe in them. A real man dreams awake by planning and visualizing. He continued to stare at Joseph who perched at the edge of the chair as if he was afraid of the chair itself. “Joseph sir. Joseph Sotan Jacobs,” The director wrote down the name on his notepad and grimaced. He thought everything funny and was beginning to enjoy the new drift. “So you are Joseph. Joseph Sotan Jacobs aka the dreamer” He smiled thinly. Joseph was at loose. He glanced at the director and met his eyes menacing him. He looked down and thought: these educated people are mad. Were they all taught in schools to be argumentative like lawyers in courts of law? Then the director's next pronouncement startled him the more. Joseph stood up and scurried out of the office. The director hissed and hastened to catch up with all the times wasted. Back at home in the night, the director dreamt when he slept. And he actually remembered the dream vividly the following day when he awoke. Something he remembered he did last some twenty years ago when he was young and weak and poor and naive and lacking the fortitude to fight the battles of life the right way. Something he stopped doing after he had learnt how to plan his every move and to put his foot forward towards executing them. In the dream he was at Lagos to take a supply of a consignment of oyster shells he wanted to sell to some animal feed manufacturers at Ibadan. He had just left the premises of the oyster shell suppliers after they promised him to expect the trucks bringing the consignments the following day. His car got stuck in a notorious traffic hold - up and he was boiling away in the frustration of the inability to make progress, when two young men popped their hooded heads into his car and shot him pointblank into an instant death. He saw himself dead, and he saw himself a cadaver in the morgue, and he saw himself being lowered into his grave a week after. He woke up both annoyed and amused, but never frightened. He was annoyed that he still had the vestige of weakness and primitiveness to dream so vividly -- - something he thought he had long outgrown. He was equally amused at the stupidity of the dream where he was not only dead but conscious of his own lying in state and funeral. He recollected the account of the dream Joseph gave him -- where he was said to have been equally killed. He wondered what was actually wrong with him now. How could a whole of him descend so low to have such incredible dream. What a degenerating effect the meeting with Joseph was having on him? He made up his mind: that loafer must go! He thought if he couldn't influence him positively, he at other hand should not be the one to influence him negatively. He regarded Joseph there and then as a reminder of his own latent weaknesses, and weaknesses were unwarranted to people like him. At his firm the following morning, he summoned his personnel manager. “Give a sack letter to Mr. Joseph Sotan Jacobs of the security section. His service is no longer required. “The man didn't say anything, night guards were easy to procure. The city was rife with able bodied unemployed men, ready to take up anything as job. He also summoned his chief accountant. “Give Mr. Joseph Sotan Jacobs two months’ pay in lieu of his immediate disengagement from service.” The two commandments were carried out immediately. Dr. Timoye grimaced at the difference between his own reality and Joseph's unreality. Joseph the dreamer got the shock of his life when he resumed for duty the second night: he received the sack letter in great befuddlement but the two month pay cheque was a welcome relief. He had never dreamt of his sudden redundancy, he never dreamt of any impending tragedy or boon for himself or any member of his family. Their fortunes of misfortunes often came unannounced. He immediately did away with the hard prospects of his unemployment and the inevitable predicament of hunger; it was always the prophet's lot. What pained him the most was the inescapable death of his director, Dr. Timoye -- he was going to die the following day. It was obvious he was neither going to dump his decision to travel to Lagos or pray for the doom to be averted. 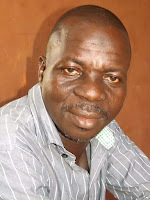 Kamarudeen Mustapha is poet and short story writer from Nigeria. He attended Ahmadu Bello University, Zaria and West African Union University, Cotonou. He teaches in a secondary school in Ibadan, Oyo State, Nigeria. His poems and stories have been published in reputable journals and magazines both online and off line.